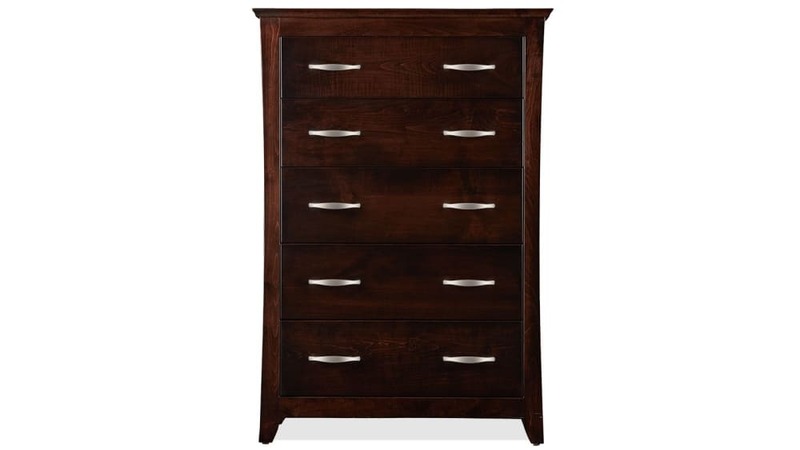 This chest is a classic American design, a truly beautiful work of art wrought in solid maple wood. More than a piece of furniture, it is a testament to all that is wonderful in America. 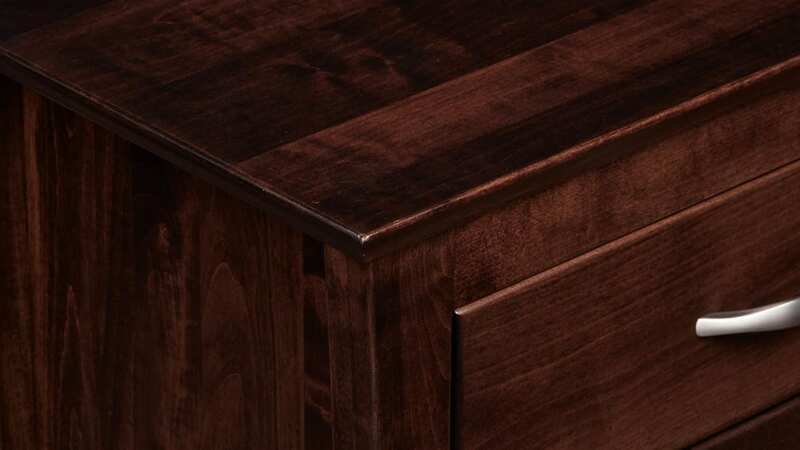 This solid maple wood chest was Made in America by master American craftsmen. Finished in a coat with low V.O.C. emissions, the natural warmth of the wood shines safely, while protecting it for generations. Traditional mortise-and-tenon construction provides lifelong support to the rock-solid frame. 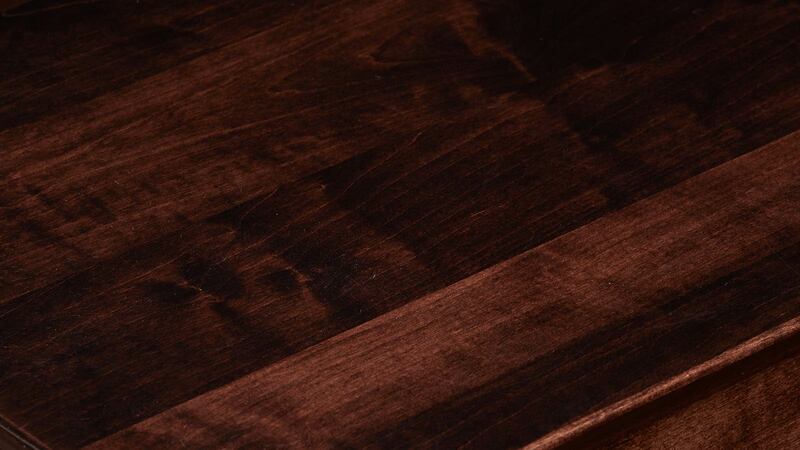 A rich, tobacco stain showcases and protects the natural beauty of the solid maple wood. Five fully finished, solid maple, dovetailed drawers, set on ball bearing, full-extension slides, keep all your essentials within reach. 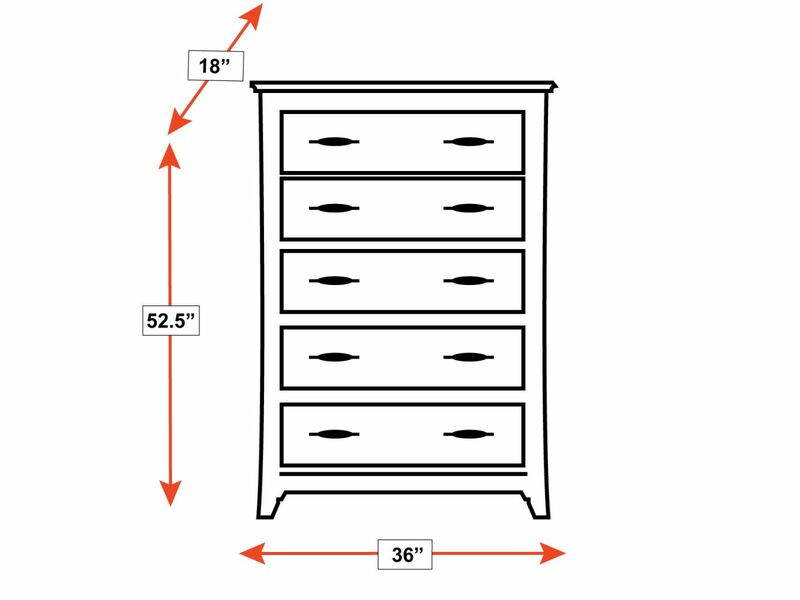 All drawers have high-quality, heavy metal drawer pulls, finished in shiny pewter, which beautifully accent and contrast the rich, dark wood.